Included: DW2001 #1 Phillips 1" Insert Bit Tips 10 DW2002 #2 Phillips 1" Insert Bit Tips DW2003 #3 Phillips 1" Insert Bit Tips DW2006 #6 Slotted 1" Insert Bit Tips 2 DW2008 #8 Slotted 1"Insert Bit Tips DW2010 #10 Slotted 1" Insert Bit Tips DW2201 #1 Square Recess 1" Bit Tips 6 DW2202 #2 Square Recess 1" Bit Tips DW2203 #3 Square Recess 1" Bit Tips DW2022 #2 Phillips 2" Power Bit DW221.. Features: DC925 XRP 18V cordless hammerdrill with DEWALT built high power motor delivers 510 unit watts out for maximum performance in all drilling and fastening applications DC390 XRP 18V circular saw with 6-1/2" 16-tooth carbide blade and rip fence can cut 2 X 4's at a 45 degree angle in a single pass DC385 XRP 18V reciprocating saw with keyless blade clamp al..
Includes: DC925 XRP 1/2" 18V hammerdrill/drill/driver DC390 XRP 18V circular saw DC385 XRP 18V reciprocating saw DW059 1/2" 18V high torque impact wrench DC330 XRP™ 18V variable speed jig saw DW960 18V right angle drill DC410 18V cut-off tool DC550 18V cut-out tool DW919 18V flexible floodl.. 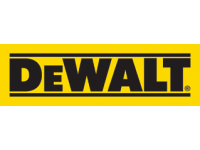 Product Features Brushless Motor; maximum runtime 3 Speed Design; application specific control Push Button Chuck; one handed operation for accessory changes Compact (5.25" front to back), lightweight design (3.0lbs); fits into tight areas Three (3) LED lights around the chuck with 20 second delay after trigger release; provide visibility with limited shadows ..
DEWALT DCD771C2 20 V Max Li-ion Compact Drill/Driver Kit features: Compact, lightweight design fits into tight areas High speed transmission delivers 2 speeds (0-450 & 1,500 rpm) for a range of fastening and drilling applications 1/2 in. single sleeve ratcheting chuck provides tight bit gripping strength Ergonomic handle delivers comfort and control DEWALT DCD771C2 20 V Max Li-ion Com..